This is one of the first animals Sophia painted. Her first, was a great white shark, but this lion, it all his royal splendor or color and is the first mammal she painted. 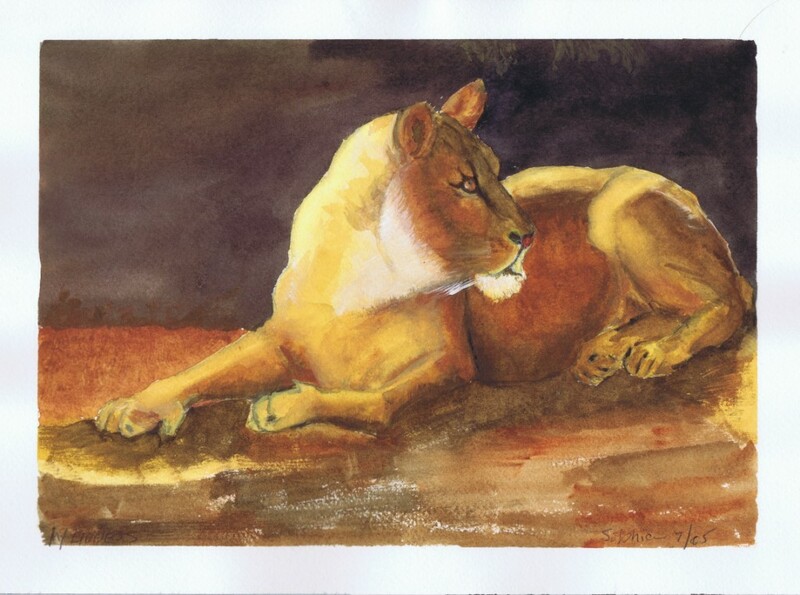 In 2002, she painted a lion which was untitled.